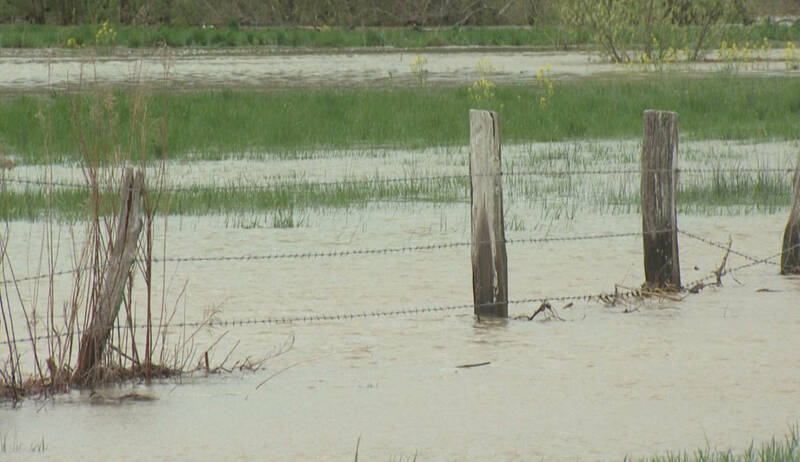 National Weather Service reports indicate about half of Indiana’s counties are expected to get heavy rains through Friday. Some southern counties may get more than three inches. Experts say, as our climate changes, these downpours are getting more common. Flooding, sewer overflows, soil washing away and polluting rivers and streams. Director of the Purdue Climate Change Research Center Jeff Dukes says these are all things we can expect to see more often because of climate change. “We now get on average five or six inches more rain each year than we used to and more and more of that rain is coming in really large events,” he says. Dukes says these big rains will also become more common when we need them the least — in the winter and spring. “We don’t have a whole lot of plants that are able to take up the water during those seasons and so that water is likely to basically go straight into our streams and rivers,” he says. These rain events can be costly. In the city of Columbus alone, flooding in 2008 led to at least two deaths and half a billion dollars in damage. Dukes says cities and towns need to think about how they can store this excess rain and slow it down before it reaches waterways. He says cities in the process of building should think about how many impermeable surfaces they’re creating — things like roofs and pavement. Cities could also leave more green space near rivers and streams to help soak up some of the water before it reaches waterways. Dukes says everyday folks can also help by having rain barrels and rain gardens. Farmers can also play a role. Dukes says farmers can prevent runoff from polluting streams by planting cover crops in the winter. He says municipalities can also work to restore historical ponds and floodplains.